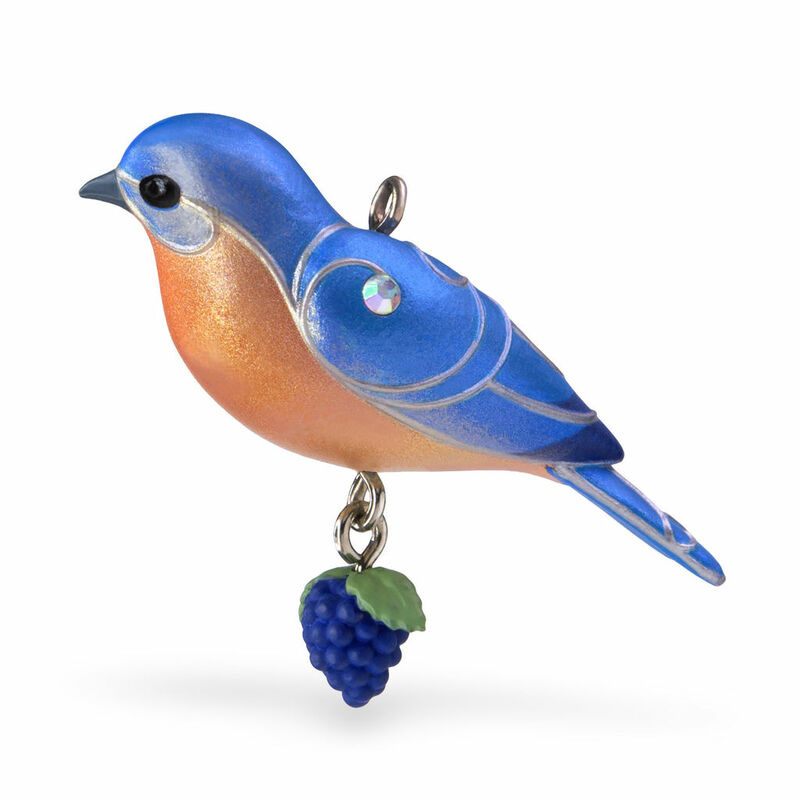 With its sleek blue plumes, metallic and jeweled accents and berry bunch charm underneath, this eastern bluebird brings the beauty of nature indoors for the holidays. 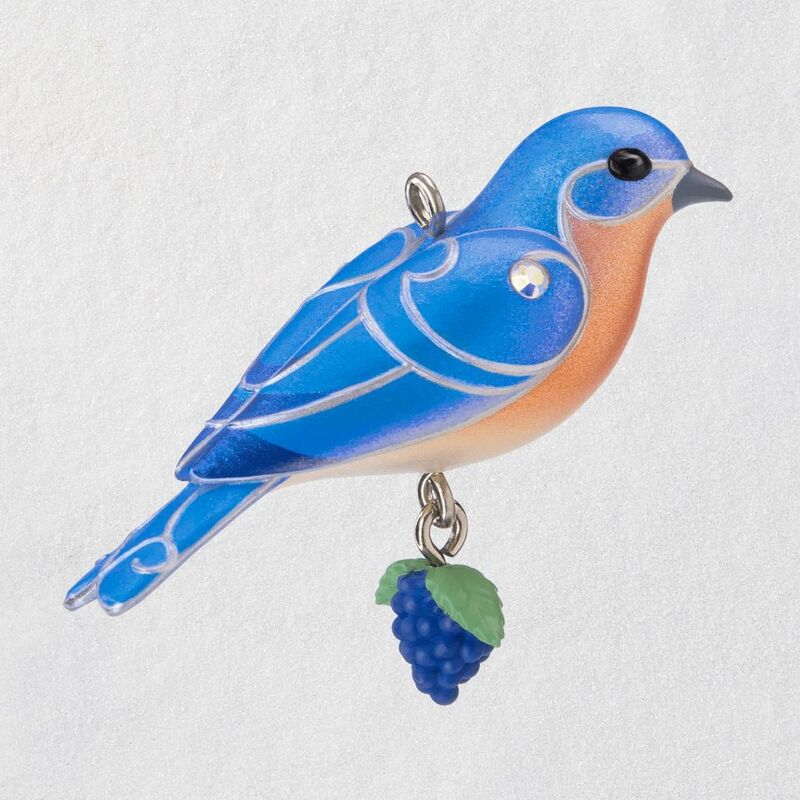 Miniature Christmas tree ornament complements others in the Beauty of Birds series, sold separately, and makes a great gift for bird watchers. Miniature Christmas tree ornament measures 1.53" W x 1.16" H x 0.51" D.
Artist crafted by Edythe Kegrize, this Christmas tree ornament features gemstone accents. Pre-packaged in a box for easy gift giving, preservation and storage. Dated: Yes, Dated 2019 in copyright. Plastic miniature Christmas tree ornament is lead-free.